Super Eagles winger, Victor Moses will be relishing the chance to end Pep Guardiola’s Manchester City unbeaten run in the Premier League on Saturday at Stamford Bridge. The Nigerian international will be making his 15th appearances against the Citizens if he makes the starting line up on Saturday. 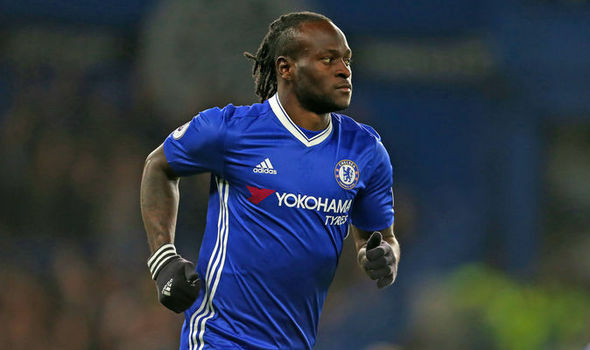 Having feature in all Chelsea’s EPL games this season, Moses will be hoping to break his goal drought in the league and also help the Blues close the game on both City and Manchester United on the EPL league table. Chelsea will be bouyed on the fact that they crushed Athletico Madrid 2-1 at their new home in Spain in the UEFA Champions League. While Man City defeated Shakhter Doneskst 2-0 in the same competition on Wednesday.